Author gypsy girlPosted on April 7, 2013 April 10, 2013 Categories UncategorizedTags BJJ, Brazilian Jiu Jitsu, Game Plans, martial arts, Synergy Pro, Twitter, White Belt3 Comments on Working out my Game Plan. New attitude is go.. kinda. “Don’t be so hard on yourself” – I get told that a lot. Also not to give up, see it as winning or learning.. not losing, everyone’s journey is different, go at your own pace, keep it playful. So from now on, that is what I’m going to do. Doing already actually, though starting tonight by joining a comp rounds sesh with blue belts may have been a bit ambitious! I cried a bit (what is WITH that? 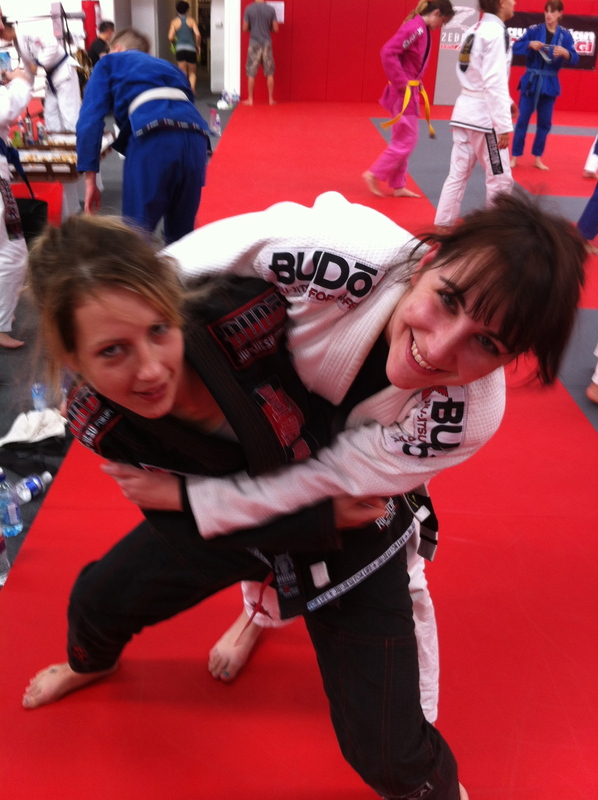 ), got hurt a bit, frustrated, made the usual scrambly and silly white belt mistakes. 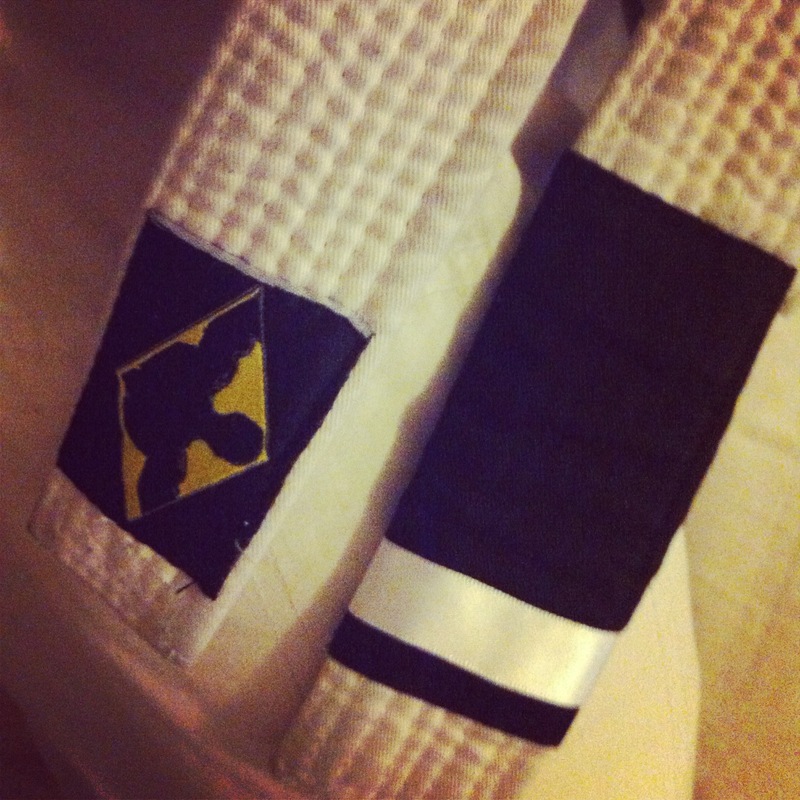 But I’m actively going in to every class from now on with an overall personal goal (eg. keep your balance tonight, be faster, more aggressive or keep those damn elbows in!) that I hope will see me keep my cool more, and lose it less. Head on the outside for this drill! ** By the way yup I’m a newbie blogger, still setting up my page, so apologies for the work in progress. Author gypsy girlPosted on April 1, 2013 Format ImageCategories UncategorizedTags BJJ, martial artsLeave a comment on New attitude is go.. kinda. 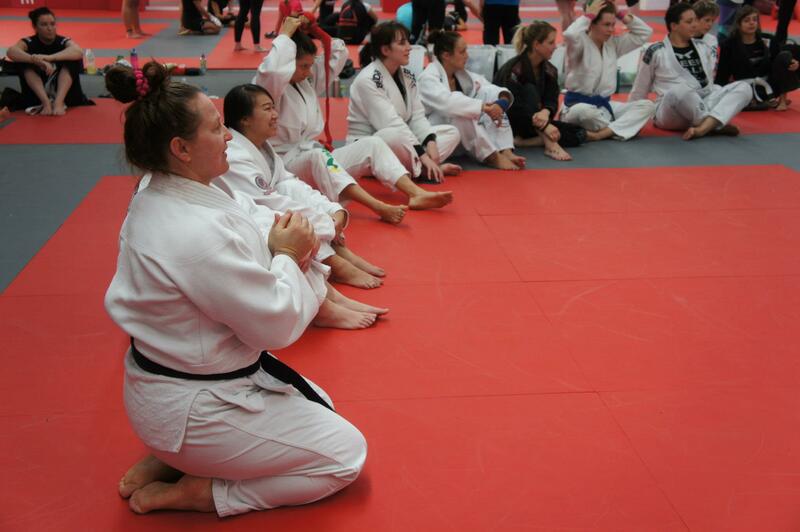 Last weekend, I joined more than 70 ladies at Australian Girls in Gi Camp 2013. 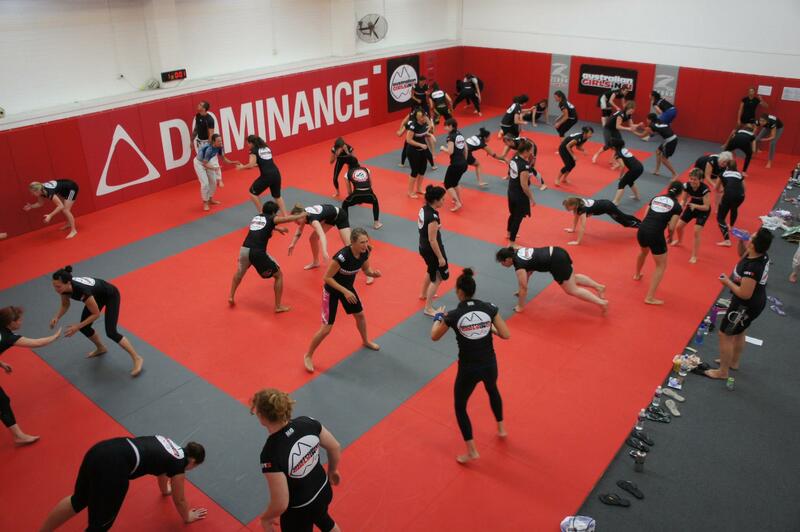 Held at Dominance MMA in Abbotsford over two days, and organised by the amazing Jess Fraser – BJJ girls from all over Victoria and interstate (even a couple of internationals) got together for some hard work and play… and a terrible sleep on gym mats, seriously. Next time I won’t internally scoff at the ladies bringing blow up mattresses or a stack of bedding, I’ll be one of them! 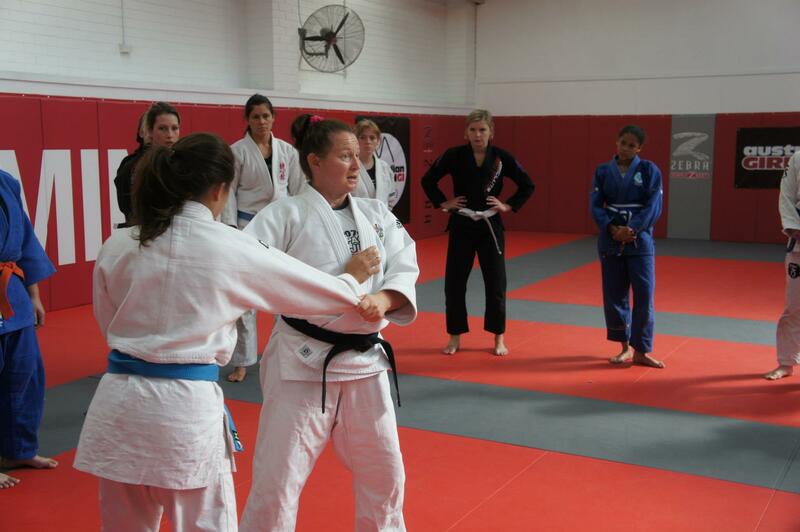 Judo with 5x Olympian Maria Pekli (“No giraffe, no Charlie Chaplin, no snowboard” – on the positioning of your feet when setting up a hip throw). She was a real wealth of information on standing technique. 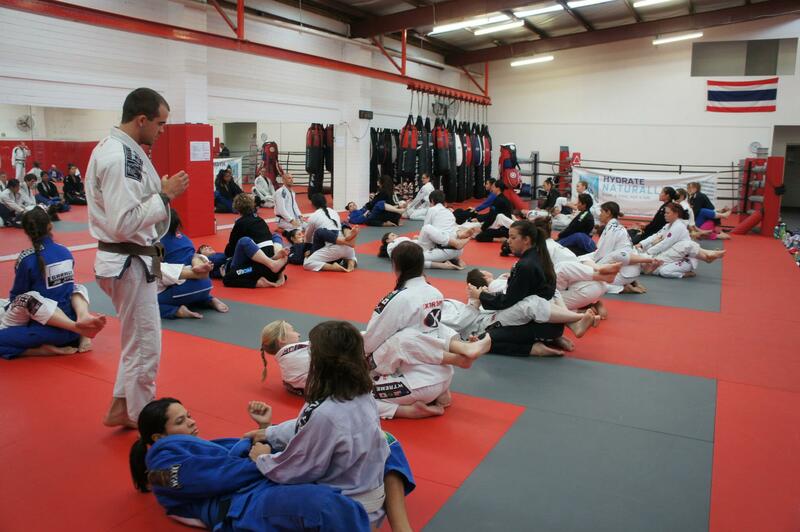 Plus a couple of hours of free rolling/open mat. There was also a talk on Competition Psychology and Physiology by Tra-ill Dowie, and Sports Psychology with Chris Shen and the lovely Maryanne Mullahy, who I was lucky enough to roll with briefly as well. 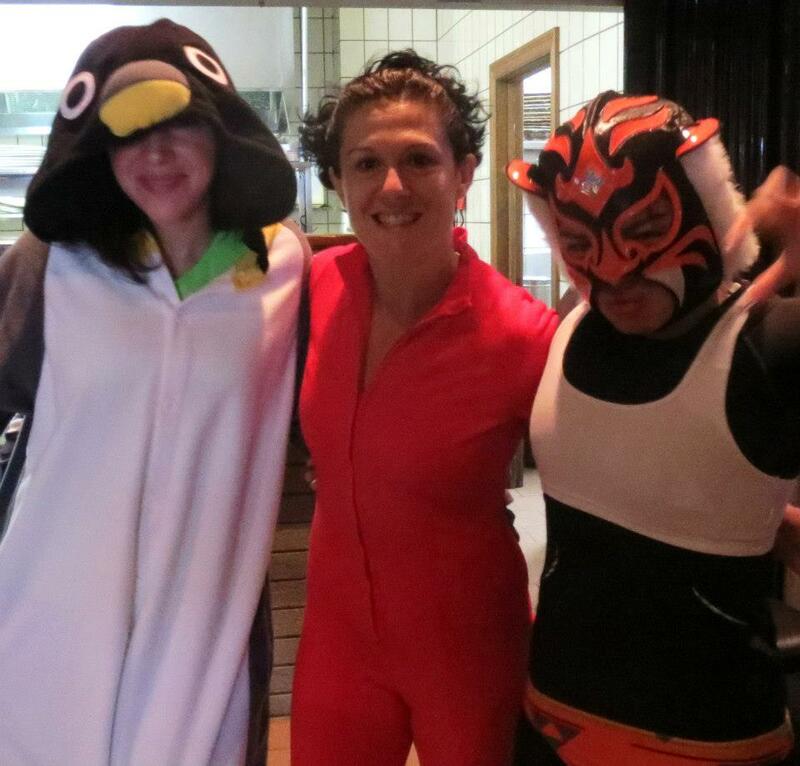 We also had a LOL comp (Loud Offensive Lycra) and super fights. Many of us were too buggered by the Saturday night to get stuck into rolling in our dress ups.. but we did wear them out to brekkie the next morning! I met the best bunch of ladies and learnt so much, some basic techniques I have probably been told and shown previously, but right now they feel fresh and shiny and new – and I really hope they stick! Things like keeping your posture when in someone’s guard, moving yourself – not your opponent, when you arm drag and go to their back and “never cross the streams” ie. the dangers of reaching diagonally for their opposite collar/sleeve . 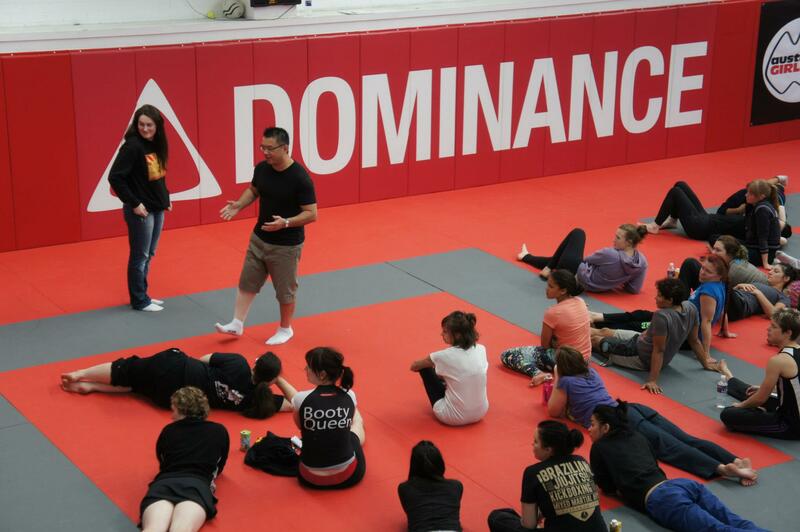 Some points from Tra-ill’s talk that have inspired me to work on where my head’s at when I’m on the mat..
Take a few minutes before every class to feel grateful – it will increase your ability to perform well and be a good competitor. There are seven basic systems within the brain; Seeking, Rage, Fear, Panic, Lust, Care, Play. Keep rolls playful in order to stay in a positive and calm frame of mind when under pressure. Fighting in comps motivated by panic, fear and rage will most likely see you flip your lid (lose control mentally). Using seeking and play as your motivation will see you most able to keep your cool. 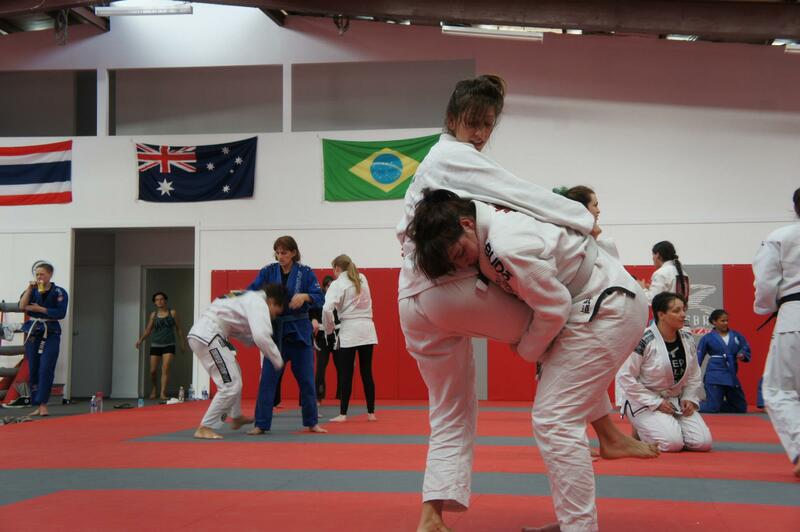 One of my favourite camp moments was while grappling a blue belt, Kim – who I have rolled with previously at AGIG events and a few Australian Elite Team classes. After our round she said “You’ve improved so much!” Big yay.